Liam Lawson and Marcus Armstrong put on the strongest showing over the closing minutes of afternoon testing at Hungaroring. They shuffled around the top four order before Armstrong went quickest and Lawson dropped to fourth as time ran out. 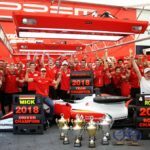 With less than five minutes on the clock, the Prema pairing of Armstrong and Jehan Daruvala shot to the top of.. 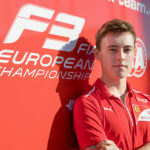 In the new FIA Formula 3 Championship, Marcus Armstrong faces a 30-strong grid of the fastest young racers in the world. With a new, faster and heavier car, Armstrong says he is already very comfortable with the speed and aerodynamic performance of the car. At the opening official test he was first and second over two days of official testing..
New Zealand racer Marcus Armstrong has been inducted to exclusive driver management organisation All Road Management (ARM), which has strong expertise across the premier levels of motor racing. All Road Management was established in 2003 by Nicolas Todt to help rising race drivers achieve their career goals. 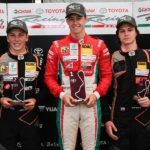 ARM offers its drivers the best conditions to progress in the long term..
Marcus Armstrong made good on his aim to claim victory this weekend, as the Toyota Racing Series took to the track in Teretonga. In signature style, the Kiwi racer dominated track action, before weather cut short his run of form, with high winds forcing the remaining two races to be cancelled. Opening his winning account, saw Marcus boost himself to.. 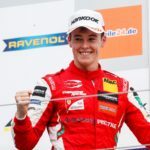 Racing headfirst into 2019, Marcus Armstrong has been confirmed as the first driver in Prema Racing’s line up for the 2019 FIA Formula 3 Championship. Following an impressive campaign in the FIA Formula 3 European Championship in 2018, in which he propelled himself as a championship contender in only his debut season. The Kiwi racer will tackle the inaugural year..
Once a year, the city of Macau plays host to one of the most prestigious events on the motorsport calendar - The Macau Grand Prix. 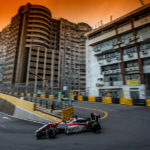 Revered by drivers, the tight and twisty challenge posed by the streets of Macau, makes it one of the most thrilling and rewarding circuits in the world. With the Formula 3 race taking centre stage..
Christchurch’s Marcus Armstrong has been selected to race at the prestigious Macau Grand Prix next month. “Really stoked to announce I’ll be heading for Macau next month! It’s been one of my dream events to race, a real challenge for any driver,” he said at the weekend. 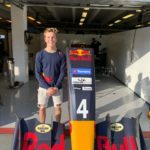 The talented Kiwi teen will join his 2018 Formula 3 team-mates: newly crowned.. In a torrid end to his rookie season in FIA Formula 3 machinery, Marcus Armstrong suffered a series of mechanical non-finishes as the series came to a close in Hockenheim. But despite disappointment, Marcus signed off a strong maiden campaign against the fierce competition, earning the respect of fellow racers, teams and spectators alike. 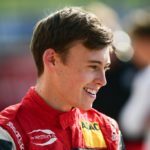 Entering the weekend still with a..
No luck for Armstrong at Formula 3 finale. 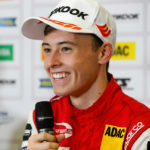 Kiwi Marcus Armstrong did everything within his power to stay with eventual championship winner Mick Schumacher but the 2018 FIA Formula 3 Championship finale at Hockenheim dashed his hopes with two non-finishes on Saturday rounded out with an early withdrawal the following day. 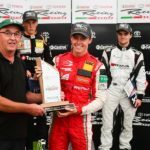 With the driver ‘silly season’ under way, 2019 drives and championship points to fight for, the top..